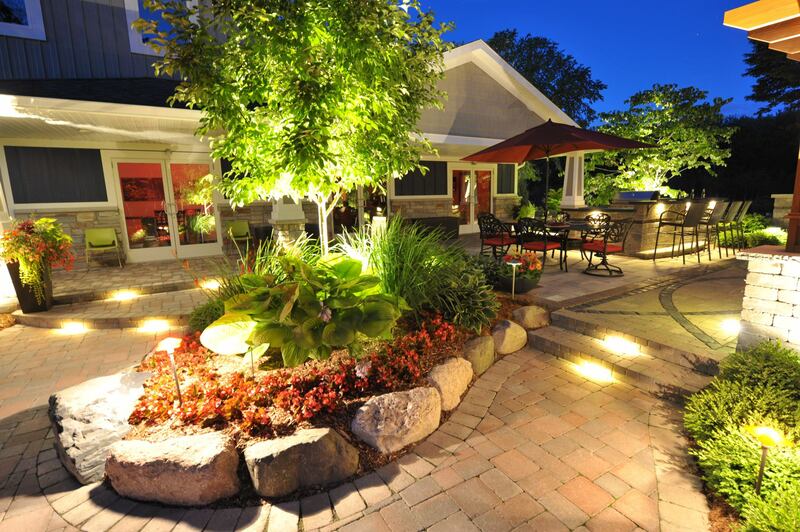 Done well, landscape lighting adds a dramatic new element to your home and its curb appeal. In Michigan, where the sun sets early for half the year, landscapes disappear. 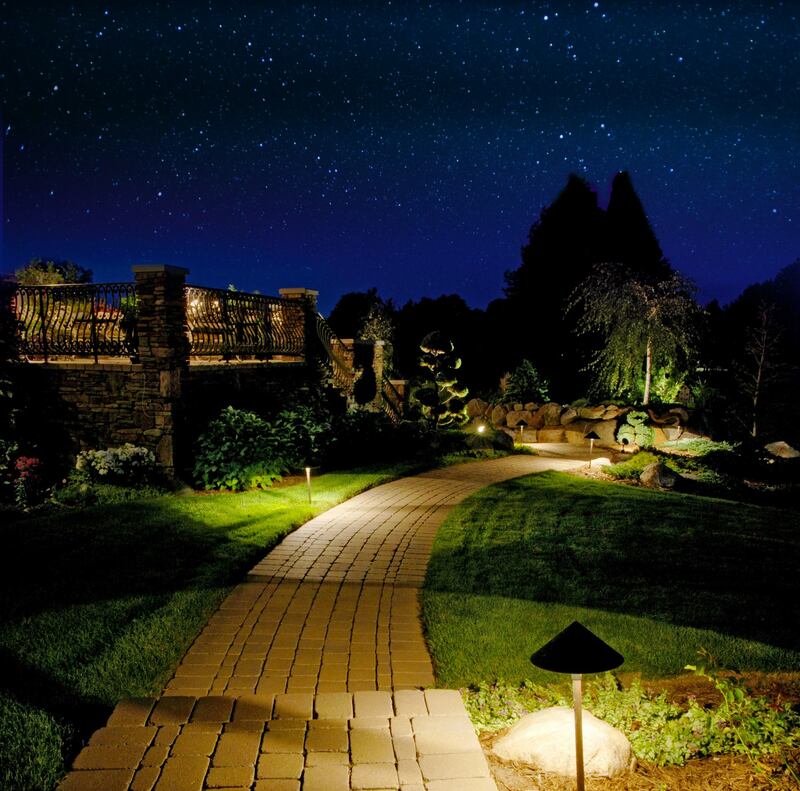 Walkways go dark, entries are lit by the glare of single bulbs, and from inside, the world closes in to end at your walls and windows. 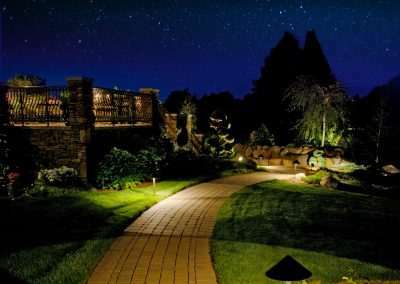 Reder clients come home to a different scene with our innovative landscape lighting ideas. Architectural features on the house that went unnoticed in sunlight are suddenly cast in dramatic relief. 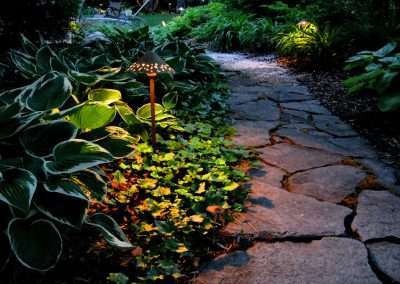 Walkways are bathed in soft pools of light, safer and more beautiful. 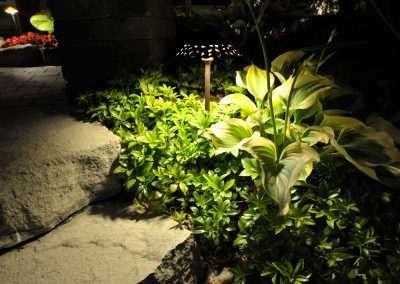 Trees that had disappeared in the dark are lit from below, adding drama and depth to the landscape. Perhaps most importantly, views from inside that used to end at the reflection in the windows now extend out into the landscape where light and shadows transform the garden into a work of art. If you’re ready to enhance your curb appeal or have landscape lighting ideas you would like to discuss, give us a call today. 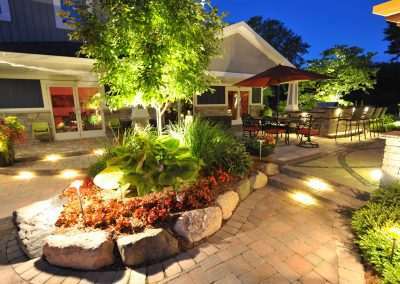 You can also click on the following link to view our landscape and Midland, MI, lawn care design team. 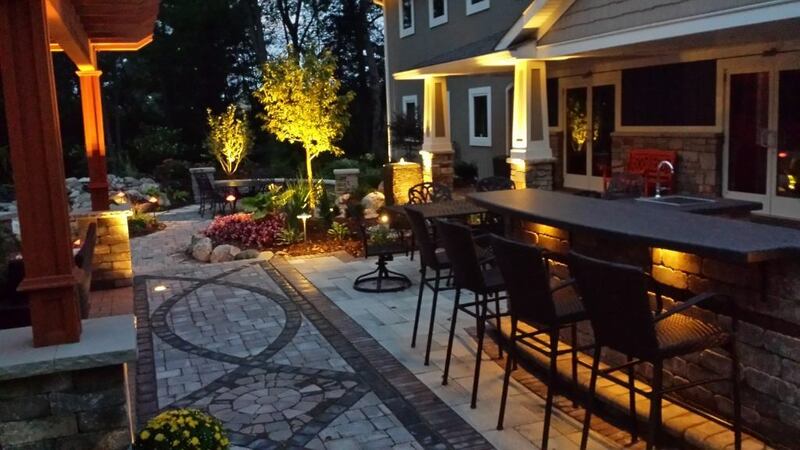 If you are unsure what landscaping you need or want design assistance, don’t worry! 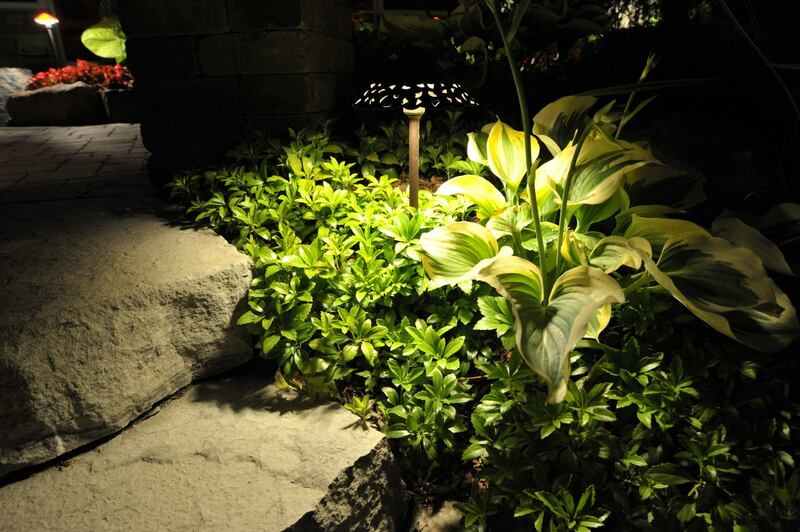 One of our landscape design professionals will walk you through the entire process. We look forward to working with you! To request an estimate or consultation, please fill out this form or call our office at (989) 835-8260. 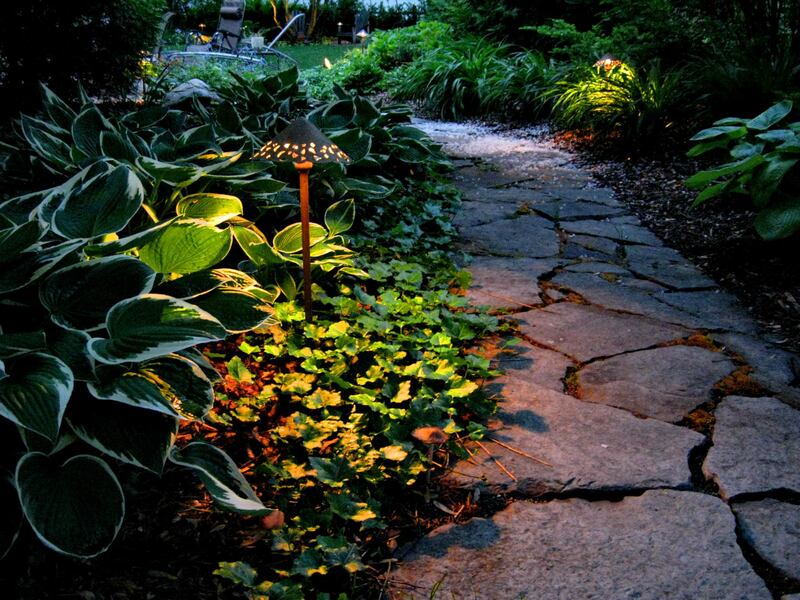 If you are unsure what landscaping you need or want design assistance, don’t worry! You only need to complete what you know. If you are unsure what maintenance service you need, don’t worry! You only need to complete what you know. 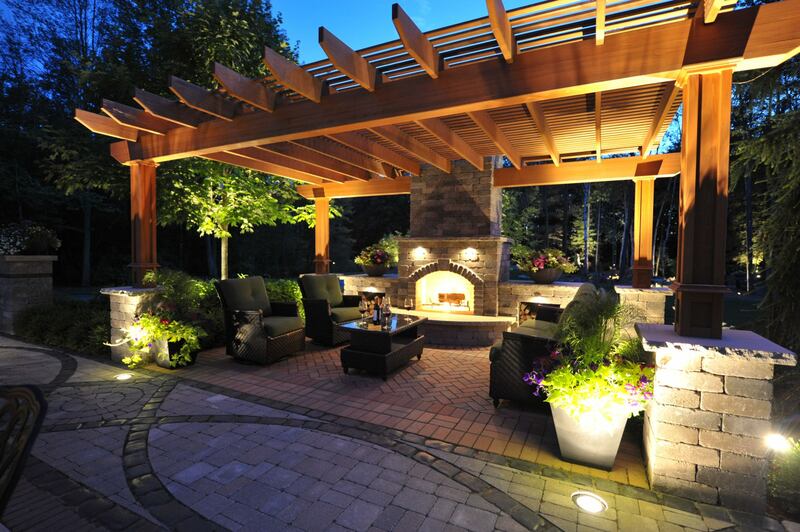 Please describe the size & major features of your property. 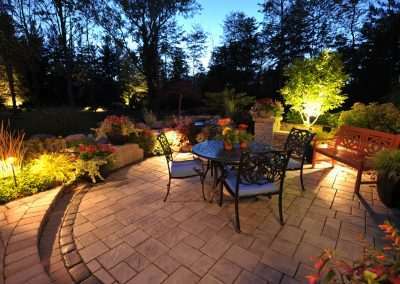 Get the latest news, tips, and deals from Reder Landscaping by signing up for our e-newsletter. You can expect an email once a week. 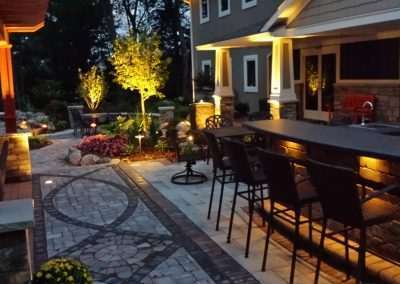 Since our inception over 50 years ago, Reder Landscaping has developed into a full-service landscaping company providing both residential and commercial landscape services including, but not limited to, landscape design and installation, lawn care programs, snow plowing, sprinkler systems, and maintenance programs. Read more about our history.